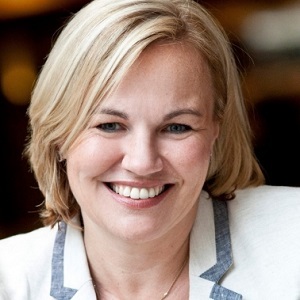 Katie Lahey is the Chairman of the Tourism & Transport Forum and Executive Chairman, Australasia for Korn Ferry. She is on the boards of the Australian Brandenburg Orchestra, the NSW Export and Investment Advisory Board, and Echo Entertainment. Katie is a former Chairman of Carnival Australia, member of the David Jones Board, Australia Council Major Performing Arts Board, Director of Australia Post, Hills Motorway and the Garvan Research Foundation. 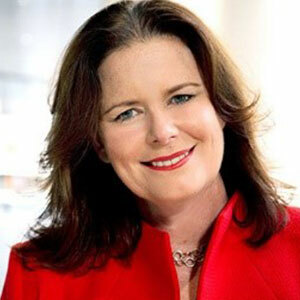 Before leading Korn Ferry, she was Chief Executive of the Business Council of Australia (BCA) for ten years and, prior to BCA, she was the Chief Executive of the State Chamber of Commerce (NSW), Chief Executive of the Sydney City Council and Chairman and Chief Executive of the Victorian Tourism Commission. In June 2013, Katie was awarded an Officer of the Order of Australia for her services to business and the arts. Katie was awarded a Centenary Medal in 2003 for her contribution to Australian Society in the area of Business Leadership. She earned a master of business administration degree and a bachelor of arts (first class honours) degree from the University of Melbourne, and was awarded the prize for top student in the master of business administration program for her year. 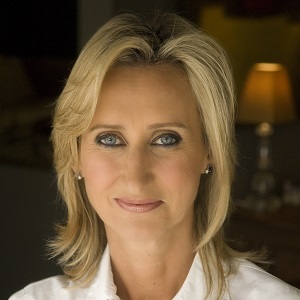 Janine Perrett is host of the nightly show HeadsUp on Sky News, a nightly commentator on the Speers show, and a weekly panelist on Paul Murray Live as well as guest presenter. She has been with Sky for eight years and before that worked for most major media outlets in Australia from a columnist on Fairfax to guest presenter on ABC radio. She began her career at The Australian newspaper where she became London correspondent and US correspondent for five years where she covered the US Presidential election, conflicts in Chile, Haiti and Panama, the space shuttle explosion and the Wall Street crash. For 12 years she worked on the Nine Network's Sunday and Business Sunday programs and founded and anchored The Small Business Show during that time as well. In 2007 she was awarded the Knight fellowship to study for one year at Stanford University in the US. Rick Allert is a Chartered Accountant with many years of experience in the corporate sector. He is Chairman of Voyages Indigenous Tourism Australia Pty Ltd, AMP Superannuation Limited, N.M. Superannuation Proprietary Limited and Kakadu Tourism and a Director of Genesee & Wyoming Inc and its Australian subsidiary, Genesee & Wyoming Australia Pty Ltd, Indigenous Business Australia, Chairman of James Morrison Academy of Music Pty Ltd, Deputy Chairman of Cavill Power Products and a Director of Wirra Wirra Wines. Rick’s previous appointments include chairing of AXA Asia Pacific Holdings Limited, Tourism Australia, Coles Myer Ltd and Coles Group Limited, Southcorp Limited, AustralAsia Railway Corporation, Voyages Hotels and Resorts Pty Ltd, and the Aboriginal Foundation of South Australia Inc. and Director of AMP Limited and AMP Bank Limited. In 2011, Rick was the recipient of the Ernst & Young Champion of Entrepreneurship Award, Central Region, for his long record of outstanding entrepreneurial achievement and contribution to the community. Rick was awarded a member of the Order of Australia (1997) particularly for his work with the National Heart Foundation; a Centenary Medal (2003) for service to rail, business and taxation; and an officer of the Order of Australia (2008) for leadership in corporate social responsibility. Rachel is the CEO of TFE Hotels, overseeing a portfolio of nearly 100 hotels in five countries and a development pipeline of nearly 30 properties. Rachel has lead TFE Hotels through a huge growth era over the past 10 years including takeovers (Rendezvous Hotels and Travelodge ANZ), integrations, and the rollout of new hotel brands such as Vibe Hotels and TFE Hotels Collection. Rachel is a former Telstra National Corporate Businesswoman of the Year, HM Magazine’s Hotelier of the Year, has been awarded a “First Award” from HotelsWorld, and was a Fellow of the International Centre of Excellence. 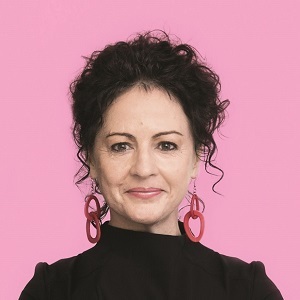 She has also served on the boards of Tourism Australia’s Accommodation Association of Australia, and Chief Executive Women, as well as being an ambassador for OzHarvest. Gary is responsible for directing and overseeing the development and execution of the annual business plan for the Australia, New Zealand and Singapore business. His role also includes the development of the company’s strategic plan. Working with the senior executive team, he is responsible for analysing and assessing new business streams and financial investment strategies for growth, and directing the allocation of resources required to achieve that growth. Gary joined Delaware North in 2008 to manage the company's travel hospitality services portfolio. Since his promotion to Managing Director in 2010, the Australian business has expanded to include several iconic Australian resorts, an industry leading retail food and beverage presence at nearly all major capital city airports, a sports stadia portfolio that includes Melbourne & Olympic Parks, Etihad Stadium, Sydney Cricket Ground / Allianz Stadium, and a more recent foray into the remote mining sector through a partnership with Northern Rise. The company also proudly delivers its tailored service solution at tourism and entertainment centres including the Royal Botanic Gardens in Melbourne, Sovereign Hill and Phillip Island Nature Parks. Gary also sits on the Victorian Visitor Economy Ministerial Advisory Committee. 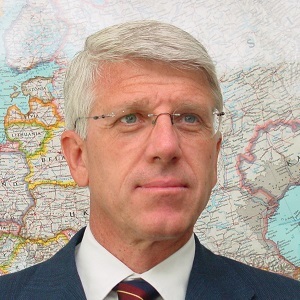 Luigi Cabrini is the Chairman of the Board of Directors of the Global Sustainable Tourism Council since 2014. Mr Cabrini led several initiatives on sustainable tourism at global level, focusing his activities on tourism and climate change, tourism and biodiversity, observatories for sustainable tourism, the green economy, tourism and heritage and global partnerships. He was the Director of the UNWTO (World Tourism Organization) Sustainable Tourism Programme from 2007 until 2014 and previously held the positions of UNWTO Director for Europe and Secretary of the General Assembly and Executive Council. From 2014 to 2018 he was an Advisor to the Secretary-General of the UNWTO. Before joining the UNWTO he has been engaged during 20 years in United Nations programmes for development and for protection of refugees, in Guatemala, Mexico, Somalia and Pakistan. He was UNHCR Representative in Poland and Spain. Luigi Cabrini is fluent in Italian, English, French and Spanish and has basic knowledge of Russian and Polish. He is the author of various articles, speeches and papers. Terese is currently the CEO of the Sydney Gay and Lesbian Mardi Gras and comes with over 28 years’ experience as an arts and cultural leader. Most recently Terese was the Executive Director of Performance Space at Carriageworks. Prior to this Terese was the Director, Arts Organisations at the Australia Council for the Arts and has held senior management and leadership positions at the La Boite Theatre Company, Bundanon Trust, Australian Theatre for Young People, Belvoir Street Theatre, Circa Ensemble, Sydney Film Festival and the Australian Film Commission. Between 1999 and 2002 Terese worked at the Australia Council in several roles including International Audience and Market Development and with the Theatre Board. 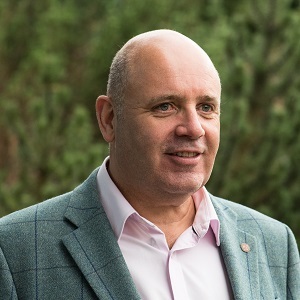 Appointed as the first CEO of the Scottish Tourism Alliance (STA) Marc has been at its helm since its inception in 2012. He is responsible for the day to day operations and leadership of the organisation which is the overarching tourism industry trade body and acknowledged as being “The Voice of Scotland’s Tourism Industry”. The STA has under its umbrella of membership circa 75% of the c20000 Tourism business that operate length and breadth of the country. The organisation are the appointed lead strategic guardians and co-ordinators of Scotland’s national tourism Strategy Tourism Scotland 2020 (TS2020). The STA are also jointly with sister trade body Scotland Food and Drink in the process of leading the development of Scotland’s first Food and Drink Tourism Strategy to be launched later this year. Marc is a lead member of the Tourism Leadership Group (TLG) that has shaped and steers TS2020, He chairs the steering the sub group charged with leading the development of the 2030 national tourism strategy and is the industry representative on the Scottish Government’s High- Level Tourism Working Group (TWG) chaired by the Cabinet Secretary. He also chairs the STA Council, the National Marine Tourism Development Group and is one of nine cross sector business leaders invited to form the UK Government’s Scottish Business Task Force. Other positions he holds include being an advisory board member of Springboard Scotland, Interface Scottish Licenced Trade Association. An energetic native-born Québécois but also an Australian citizen, Serge Dansereau grew up in Montréal. Serge began work as a kitchen hand in Montréal, where gradually his persuasive willingness gave him a good future in cooking. He was accepted at the prestigious Institut de Tourisme et d’ hôtellerie du Québec in 1974, completing his diploma in Cuisine Professionnelle in 1976. In 1983, Serge accepted a position to help open the newly built Regent, Sydney. In 1989, the prestigious Sydney Morning Herald Good Food Guide proclaimed Dansereau Chef of the Year and in 1990, awarded 3 toques, its highest accolade, to Kable’s. In 1994, Dansereau was the recipient of the Sydney Morning Herald Special Award for Excellence, “for his work in helping redefine Australian cuisine, his passion for produce and his promotion of regionalism” His resignation from The Regent in 1999 was coupled with an announcement that he would join The Bathers’ Pavilion as partner and Chef and in February 2003, become the sole owner. 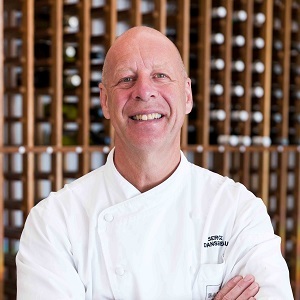 Serge Dansereau is considered one of trendsetter and a leading chef of Australia. 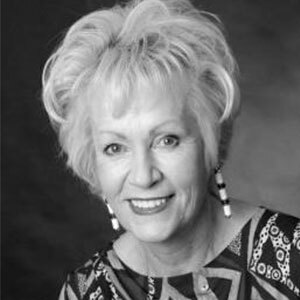 Joyce DiMascio is the Chief Executive of the Exhibition and Event Association of Australasia (EEAA) and one of the most respected leaders in the business events sector. She has led the Association since May 2011. The Association represents major organisers, associations, venues and suppliers who deliver over 500 trade and consumer expos and events each year. In 2017, The Global Association of the Exhibition Industry (UFI) presented the inaugural Global Exhibitions Day Award to the EEAA in recognition of the industry advocacy driven by Joyce and her team. 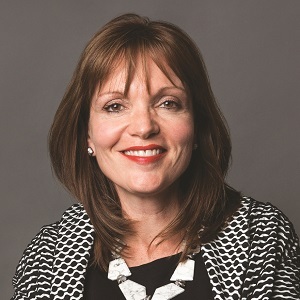 Her advocacy successes have included significant investment in venues and venue upgrades, the first-ever traineeships for the exhibition and events industry and funding for new training programs specifically for Members of the Association. Joyce is most proud of the work she has led to support the careers of young people in the events industry through the EEAA Young Stars Program. Early in her career, Joyce was press secretary to two Premiers in Australia’s biggest state, New South Wales and led the development of the tourism industry’s media strategy for the Sydney 2000 Olympic Games. In 2017, Joyce joined the advocacy and education working groups of The Global Association of the Exhibition Industry (UFI) and also judges its Next Generation Leaders Award. In Australia, Joyce is a jury member for the prestigious Mumbrella Awards. 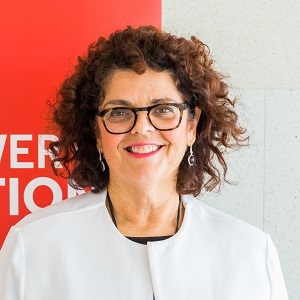 She is a member of the Australian Institute of Company Directors, a Councillor on the Board of the Business Events Council of Australia (BECA), an ambassador for the Australian Heart Foundation and a former Board Member of Trainworks and the Food Media Club of Australia. John Fink is a restaurateur, a writer and a filmmaker. As Creative Director of the Fink Group, John runs the family restaurant business with his father, long-time restaurateur, theatre-owner and hotelier Leon Fink. The Fink Group are third-generation restaurateurs and hoteliers, and have been in the hospitality business for more than five decades, with an unrivalled reputation for excellence in dining. The group owns and operates Quay Restaurant in Sydney, Otto Ristorante in Sydney and Brisbane, and Bennelong in the iconic Sydney Opera House. It is also a joint partner in the two-hatted restaurant, The Bridge Room, wood-fired restaurant Firedoor and Beach Byron Bay. John also works in his “spare time” on his personal slate of scripts and films, a passion/talent he undoubtedly inherited from his mother, the prominent Australian film producer Margaret Fink. His films have appeared in International film festivals including Sundance. 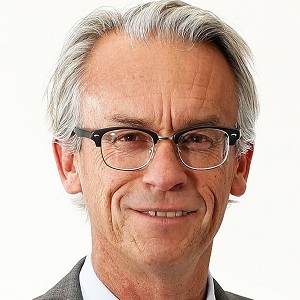 David Gallop AM was appointed Chief Executive Officer of Football Federation Australia in November 2012. David’s tenure since this time has coincided with a period of stability, growth and innovation in Australian football, underpinned by the successful 2015 AFC Asian Cup that saw the Socceroos crowned as the Champions of Asia, Australia’s qualification for the 2014 FIFA World Cup in Brazil and 2018 FIFA World Cup in Russia, and the Matildas’ inspiring run during the quarter-finals of the 2015 FIFA Women’s World Cup in Canada, and qualification for 2018 AFC Women’s Asian Cup in Jordan. On the domestic front, initiatives include the launch of the Westfield FFA Cup, roll out of the Aldi MiniRoos initiative, Foxtel A-League All Stars, the National Premier League, and sustained growth in Hyundai A-League and Westfield W-League ratings, crowds and memberships. David entered the world of Football with a rich sporting background having been Chief Executive of the National Rugby League for over a decade where he guided the game through one of it’s most successful era in terms of crowds, television ratings and commercial success. Prior to this he held the Legal Adviser role to the game, since the NRL’s inception in 1997. 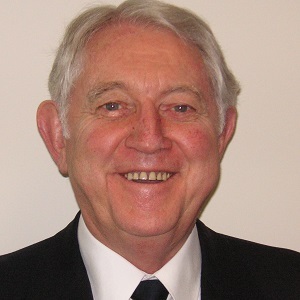 One of the most respected sporting administrators in Australia he was appointed to the restructured Australian Sports Commission in 2008 and served as Deputy Chairman until the end of his term in 2014. In 2016, David was awarded a Member of the Order of Australia for significant services to sports administration through executive roles with football and rugby league organisations, and to the community. 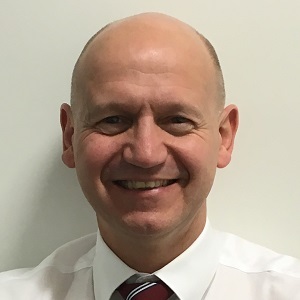 Simon Gandy is an Executive and independent Director. He is currently the Chief of Aviation for Melbourne Airport and sits on the Board of Destination Melbourne, the advisory Board of Tourism & Transport Forum and the Swinburne University Aviation Advisory Committee. With a career in the aviation industry spanning 28 years, Simon has a strong track record of delivering high levels of growth and market share supporting exceptional returns to investors. In his 10 years with Melbourne Airport, Simon has held a number of Executive roles leading Operations, Engineering and Construction, Business Development and Airport Strategy. More recently, Simon led Australian Pacific Airports Corporation as Acting CEO during the transition between CEOs. Simon’s aviation career started in the UK with BAA plc, at that time the owner and operator of Heathrow, Gatwick and 5 other airports. During his 17 years with BAA, he held a number of senior leadership positions including consultancy appointments in Europe and Asia Pacific. Before aviation, Simon worked in marine telecommunications. He graduated in Mechanical Engineering from Birmingham University later becoming a Chartered Engineer and is a Graduate of the Australian Institute of Company Directors. His passion is creating great legacies that provide tangible improvements for his customers, the businesses in which he works and the communities that use them. David Goh is the General Manager for Singapore Airlines Cargo in Australia and New Zealand. He oversees the strategy and development of the cargo business within the South West Pacific region, positioning Singapore Airlines Cargo as the choice premium air freight carrier in the region. 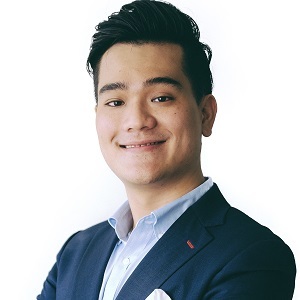 Since joining Singapore Airlines Cargo in 2012, his breath of experience in the cargo business has ranged from a variety of roles in sales and marketing, cargo operations, freighter planning and fleet development. Prior to his role in Australia and New Zealand, David was Cargo Manager for Thailand, Cambodia and Laos where he oversaw the development of the emerging Indo-China region. Phillipa Harrison joined Tourism Australia in February 2017 to head up the organisation’s international operations for Asia, the Americas, Europe and New Zealand as well as Global Distribution and Partnerships. In this role Phillipa oversees Tourism Australia’s network of international offices spanning 12 countries as well as managing airline relationships and distribution channels, working in partnership with the industry to grow the inbound market for Australian tourism. Prior to her current role, Ms Harrison spent six years working for Hamilton Island Enterprises and before that held a variety of senior sales, marketing and product roles at Viator Systems (Sydney), Base Group (Sydney), STA Travel (London), Contiki Holidays (London), and Trailfinders (London). 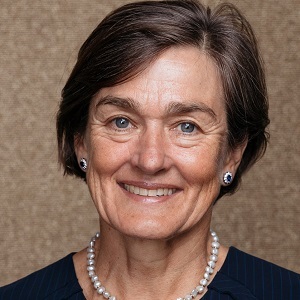 Louise Herron became CEO of the Sydney Opera House in 2012, the first woman appointed to the role, after 10 years working in investment banking and serving as chair of Sydney’s Belvoir Street Theatre. Since 2013, Louise has led development and delivery of the Opera House’s Renewal program to ensure this World Heritage-listed icon and one of the world’s busiest performing arts centres meets the needs and expectations of 21st-century artists, audiences and visitors. Renewal includes more than $270 million in capital works to upgrade performance halls and open new spaces to the public, as well as improving the artistic and visitor experiences for the Opera House’s 8.2 million annual visitors and the 1.5 million people who attend a performance each year. 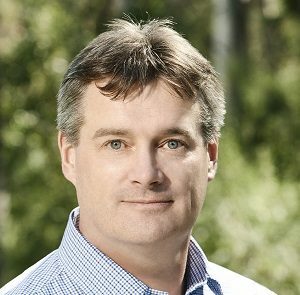 Matthew Jackson joined Parks Victoria as Chief Executive Officer in February 2017. Matthew has been involved in nature-based tourism and education for most of his career, starting as a zoo keeper at Currumbin Wildlife Sanctuary in Queensland, known for its largest collection of native Australian animals. Matthew is an experienced conservation and environmental professional and has also worked in the private sector in marketing and distribution. He has extensive experience in environmental research, conservation, education, wildlife management, operational management and stakeholder relations. Prior to working at Parks Victoria, Matthew was the Chief Executive Officer at Phillip Island Nature Parks for six years and before that held other senior roles within the organisation. He oversaw significant change at Phillip Island Nature Parks that involved a high level of community consultation and the delivery of major environmental outcomes and significant new tourist attractions. Matthew completed a Master of Business Administration from Southern Cross University in 2004. Current board member of the Victoria Tourism Industry Council (VTIC) Board and committee member of the Victorian Government’s Victorian Economy Ministerial Advisory Committee (VEMAC). John Kotzas has a distinguished career in the cultural sector. 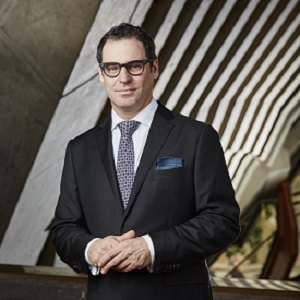 He is Chief Executive of the Queensland Performing Arts Centre (QPAC), one of Australia’s most successful and renowned centres of live performance. John joined QPAC in 1989, undertaking various creative and directing roles both for QPAC and a number of significant national celebrations. In 1995 he played a key role in the Australia Remembers celebrations on behalf of the Australian Government and in 1996 he was the Managing Director of the inaugural Brisbane Festival. John led the team that developed the internationally-recognised Out of the Box Festival, one of the few arts events in the world that is focussed on children eight years and under. As Chief Executive, John has strengthened QPAC’s international profile and its contribution to the life of a vibrant cultural city. During his leadership of QPAC, the Centre has developed as a leading presenter, producer, investor, arts educator and public space. The creation of the QPAC International Series in 2009 has resulted in annual, exclusive presentations of some of the world’s greatest performing arts companies, including the Vienna Philharmonic Orchestra, London Philharmonic Orchestra and exclusive seasons of the Paris Opera Ballet, Ballet Nacional de Cuba, the Hamburg Ballet, Hamburg State Opera, Hamburg Orchestra, Bolshoi Ballet, American Ballet Theatre, France’s Ballet Preljocaj and The Royal Ballet. In 2012 John was awarded the Honorary Degree of Doctor of the University from the Queensland University of Technology, Creative Industries, and in 2015 John was awarded the Honorary Degree of Doctor of Griffith University in recognition of his distinguished service to the arts. In 2016 he was presented with the Cavaliere dell'Ordine della Stella d'Italia (Knight of the Order of the Star of Italy) for his commitment to Italian arts, culture and the community in Australia. Andrew Larratt joined the ASC as General Manager, Sport Business and Strategic Partnerships, on 6 March 2018. 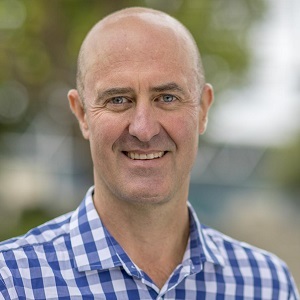 He brings with him more than 20 years’ experience in the sport industry, most recently as Rugby Australia’s General Manager, Community Rugby and Strategy, where he and his team launched the VIVA7s non-contact rugby format which attracted 11,000 new participants. Andrew was also a member of World Rugby’s Tier 1 Development Directors and chaired the research arm for growing global participation. He lectured post-graduate students in the Master of Sport Business program at Victoria University and worked at Cricket Australia from 2005¬ – 2013 where he became known as one of the sport’s great strategic thinkers. This was evident through leading the Australian Cricket Conference which was the catalyst for governance reform, bringing forward the launch of the Big Bash League and nationalising cricket participation. Andrew reinvigorated entry level participation through a refreshed MILO in2CRICKET programme and launching a fun, fast and dynamic programme MILO T20 Blast. Andrew understands and values the power of diverse thinking and wants to leave a legacy of a great Australia. Andrew started his career as a British Railways engineering graduate and has remained in the railways for almost 40 years. 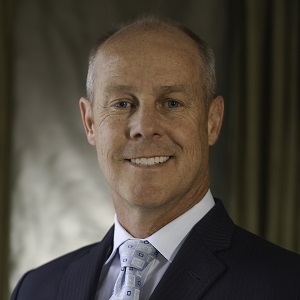 Andrew has been President of Daimler Chrysler’s worldwide metro business, CEO of Jarvis Rail and Metronet, as well as President of Bombardier Transportation’s Services Division. 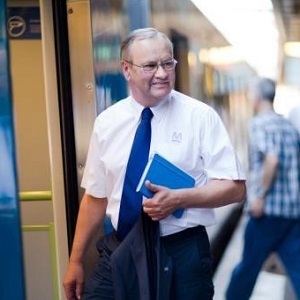 Having accumulated considerable international experience across multiple rail concerns, including a four year appointment to Beijing, he returned to Australia to lead Metro Trains Melbourne. He has since become Managing Director of Metro Trains Australia, a consortium of highly experienced rail and construction businesses comprising MTR Corporation, John Holland Group and UGL Rail. Andrew is a Chartered Engineer, a Fellow of the IMechE and Engineers Australia, and Adjunct Professor of Engineering at Swinburne University and at RMIT. 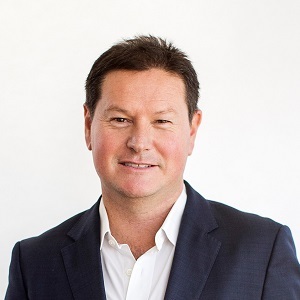 Michael is Chief Executive Officer at the Canberra Convention Bureau (CCB) joining the organisation in October 2015. Michael joined CCB from Canada, most recently as Executive Director for Meetings & Conventions Prince Edward Island (M&CPEI), a not-for-profit membership based organisation representing the Province for Marketing, Sales and Product Development. Previous roles encompassed hotel sales, operations and food and beverage in hotel brands that include Delta Hotels & Resorts, IHG, Marriott, Renaissance and Fairmont, in Canada, Australia and the UK. 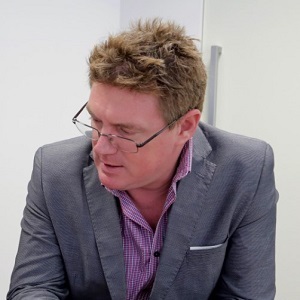 Michael is Treasurer for Association of Australian Convention Bureaux (AACB) and has more than 25 years of industry experience including tourism education with an MBA from the University of Guelph, Canada (2006) and earlier Tourism studies at Ryde TAFE (1994). Michael’s MBA major paper studied the impact mega-events such as the Olympics have on the host cities lodging sector and tourism infrastructure. He contributes via Tourism Leaders Forum (TLF) in Canberra and prior to commencing at CCB, Michael was part of the Executive with the Destination Marketing Association of Canada (DMAC) and has held several marketing, industry and curriculum advisory roles. Active outdoors and a runner with several 100km under his belt, he’s in it for the long haul. 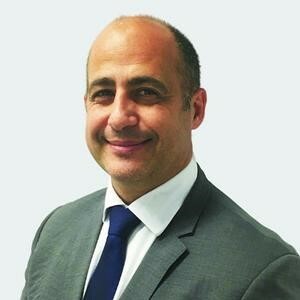 Umberto is the Chief Marketing Officer at Hostplus – the National Industry Superannuation Fund for workers in hospitality, tourism, recreation and sport – where he manages the strategy, business intelligence, PMO, Client Sales and Services and marketing portfolios. His simple but effective application of strategy and marketing fundamentals has enabled Hostplus to create breakthrough brand campaigns and strategies to establish itself as a leading superannuation brand in Australia. Prior to joining Hostplus in 2004, Umberto worked with the ANZ Bank, National Mutual/AXA and Zurich Financial Services in marketing and strategy roles. In 1999, he joined direct marketing agency – trademarkDM as their Director of Strategy and worked on major campaigns for financial services brands including, AXA Australia, GE Capital, Members Equity Bank, American Insurance Group (AIG), Hostplus and Australia Unity Funds Management. In the non financial services sectors he worked on several campaigns for leading pharmaceutical brands like Zantac, Zovirax and Lamictal - an epilepsy drug that saw his campaign awarded with an Australian Direct Marketing Silver effectiveness Award in 2001. 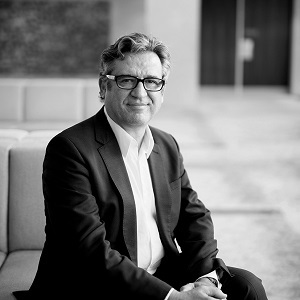 In 2008, Umberto was awarded with a FEAL (Funds Executive Association Limited) Executive Education Scholarship that is now seeing him undertake a Masters in Organisational Leadership at the Melbourne Business School. Also, in 2008 Umberto picked up the AIST (Australian Institute of Superannuation Trustees) Superannuation Marketing Award for Excellence and his marketing campaigns were also awarded winners of the 2008 ASFA Communications Award and the AIST Gold Communication Award 2008 for Excellence in Member Reporting Communications. His success continued in 2009 where he was awarded the Rainmaker Superannuation Marketer of the Year. In 2017, Umberto came in at 11th spot in the coveted CMO Top 50 list in Australia for his marketing influence and excellence. 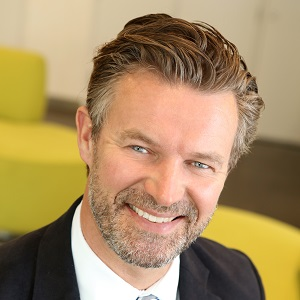 Sture Myrmell holds the dual roles of President of P&O Cruises Australia and President of Carnival Australia, which is part of the world’s largest leisure company, Carnival Corporation & plc. Carnival Australia represents seven leading cruise brands in the Australian and New Zealand market, including Carnival Cruise Line, Cunard Line, Holland America Line, P&O Cruises Australia, P&O Cruises World Cruising, Princess Cruises and Seabourn. Three of its cruise lines – P&O Cruises Australia, Princess Cruises and Carnival Cruise Line – are the only global cruise companies to base ships from Australia year round. Together these brands account for more than 70 per cent of the Australian and New Zealand cruise passenger market, delivering memorable cruise holiday experiences close to home and further abroad. Since January 2016, Sture has held direct responsibility for the P&O Cruises Australia fleet, which is the only cruise line in the world to have its head office in Australia. 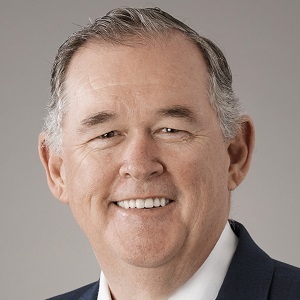 His remit was expanded in December 2017 when he was appointed President of Carnival Australia with regional responsibility for managing the shared services group that supports a number of internal and external functions across Carnival Corporation’s brands in this market. Sture is a member of the global leadership team at Carnival Corporation & plc and is involved in the development of strategy, policy and operational practices across the business. Sture has an innate knowledge of the cruise industry having held key positions across four Carnival Corporation & plc brands during his more than 20 years with the company, including working onboard as well as direct operational responsibility in shore side roles. Since 2008 he has been core to transforming P&O Cruises and its service delivery into a product that truly reflects modern Australia. During his career, he has also been responsible for Commercial, Guest Experience and Product Development for the cruise line’s fleet in Australia and New Zealand as well as the Fleet Personnel department and Hotel Supply Chain. Prior to Carnival Australia, Sture spent 15 years with Princess Cruises in California and Cunard Line and Seabourn in Florida, covering positions in Food & Beverage, Hotel Operation, Newbuild and Product Development. Sture first started his career at sea with Cunard. 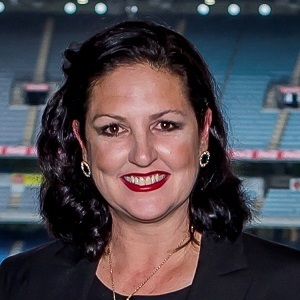 Amanda O’Brien is a Transport & Logistics Professional and the CEO and Managing Director of Australian Worldwide Logistics Pty Ltd trading as Xtreme Freight with head office based in Melbourne. Amanda’s particular expertise is in strategy and solving logistical challenges for Global Freight Forwarders and increasing efficiencies in the supply chain through strong partnerships and transparent analysis. Her belief is that developing people’s talents is fundamental to achieving great results and that flexibility and outside the box thinking is the greatest catalyst for change which is essential in keeping up with globalisation. Past experience in diverse fields ranging from Telecommunications, Airlines and Retail holding both management and procurement roles has seen Amanda involved in projects that return investment to companies with people at the core. Changing the image, increasing the efficiencies and developing seamless logistical solutions for clients in the Transport & Logistics sector is fundamental to her philosophy. Amanda joined the Victorian Division of the SCLAA in 2012 to contribute to the growth of female participation in the industry and believes that giving back to the community and awareness of social and political issues is cognisant with greater results. Amanda has been a SCLAA Director since 2015 and was elected to the position of National Chairman in 2016. Justin O’Brien is currently employed as Executive Officer, Gundjeihmi Aboriginal Corporation. Justin O’Brien was appointed Executive Officer in October 2008, returning to the Corporation after a three‐year period away. He was previously the Senior Policy Adviser to the Northern Land Council and a Senior Policy Adviser with the Northern Territory Department of the Chief Minister. Justin holds a Bachelor of Arts degree from Monash University. From 2000 to 2005 he was the Communications Manager for the Corporation. Justin has worked extensively with Aboriginal communities and has experience in advocacy and media relations, and as a journalist. James joined MI Associates in June 2017 as a Principal. He has more than 22 years major events strategy consulting experience with an emphasis on the critical issues of; event feasibility; pre-bid due diligence; economic impact analysis; host city brand maximisation, event contracts, post-event evaluation and maximising ROI. Prior to this, James was Director of Nielsen’s (formerly Repucom) Government, Tourism and Events (“GTE”) division for 5 years, which specialises in holistic major event evaluation and valuation. Nielsen’s GTE division focused on providing specialised consulting services particularly in the areas of measuring the economic, global media and community impact of major events around the globe. Here James consulted to most of the region’s major events companies and tourism bodies, as well as numerous rights holders across Australia and New Zealand. Prior to this role, James was Head of Strategy, Insights and Legal at Destination NSW for 5 years. Here he was instrumental in establishing the first NSW Master Events Calendar, helping to create legacy events like Vivid Sydney and securing a multitude of major events for NSW. James was responsible for creating and delivering best practice event due diligence, assessment and post event-evaluation; the strategy planning function as well as legal affairs. James also has extensive experience in the sponsorship and sports industries. 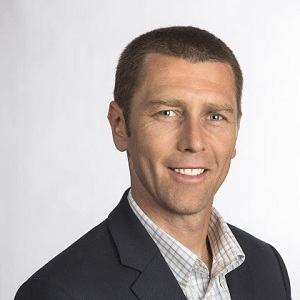 He has worked with organisations such as Australian Sports Commission, Major League Baseball and NSW Rugby before managing the Australian and New Zealand office of global sponsorship research consultancy, SiS, for 7 years. Doug is the Vice President of IBM Asia Pacific responsible for the Distribution and Industrial industries effective Jan 2018. Prior to that Doug was Managing Director - IBM responsible for the Air Canada, AIMIA and Greater Toronto Airport Authority accounts. At Air Canada Doug lead a team of approx. 1200 people delivering IT and services innovation, project delivery and service delivery of IT and business critical systems. This included infrastructure run services (cloud and traditional), network integrator, end user services, help desk services, mobile device services, digital transformation programs, application support services, integration services, security services, architectural services, major incident management across all vendor, IT strategy and business alignment, project office delivery and HR services delivery. Doug is an industry thought leader in cloud, cognitive, analytics and mobile business solution. 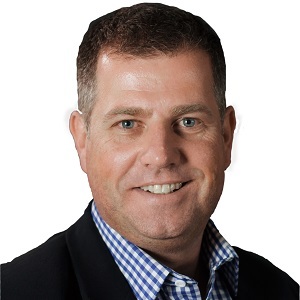 Prior to moving to Montreal for Air Canada, Doug looked after large aviation accounts (Qantas) and mining accounts (BHP Billiton) from Sydney Australia and lead teams around the globe. He has also been the Asia Pacific Leader for Transport and Logistics solutions for IBM and was a board member of a Sydney based retail chain from 2003 to 2012. Prior to joining IBM Doug was the Asia Pacific Director of Supply Chain for Circle International based out of Singapore. He has his undergraduate degree from the University of California, Berkley; a Masters in Transportation Management from the University of Sydney and a MBA from the Australian Graduate School of Management, Sydney. Mac is the Director of & Fixed Site Security Consulting at AS Solution. 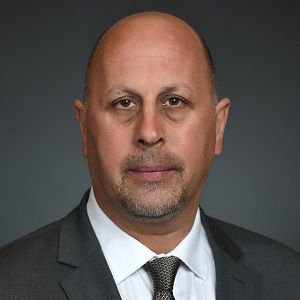 With over 25 years of operational, training and consulting experience in the Security Industry, specializing in mitigating and responding to terror and criminal threats, he brings real world knowledge and expertise to all facets of his job. As a hospitality & fixed asset SME, Mac conducts security assessments, training and designs security master plans for hotels, business facilities, event & conference centers and critical infrastructure the world over. Working extensively with owners and operators in the private and government sectors worldwide he possesses and in depth understanding of the challenges facing businesses and infrastructure in today's world. Mac has published many articles on hotel and general security and is a regular speaker at security conferences the world over as well as SME to major television and print news outlets. Born in South Africa, Mac has served in two militaries and government service, living in Europe and the Middle East whilst operating around the globe. This facilitates him with an excellent multi-cultural understanding which allows him to provide tailor-made, relevant and practical security and safety solutions.